Loose lips sink ships, and Tom Holland just inadvertently scuttled a big one. 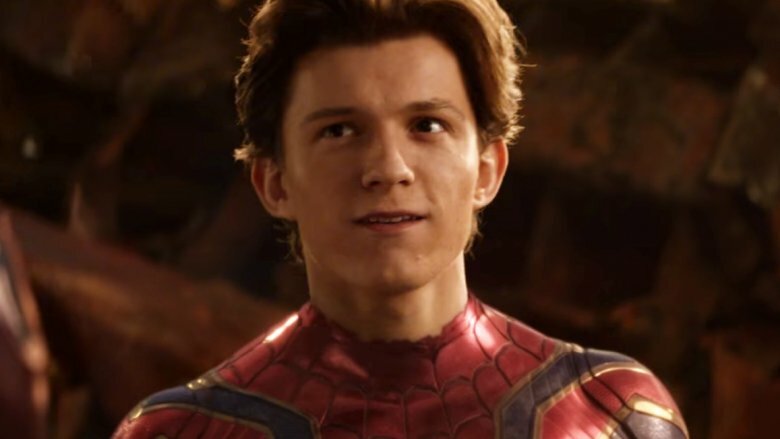 The crowned spoiler-revealing prince of the Marvel Cinematic Universe, Spider-Man actor Tom Holland accidentally ruined part of the ending of Avengers: Infinity War for a theater full of people who had yet to see the superhero flick. It happened at ArcLight Cinemas in Hollywood, where Marvel Studios head Kevin Feige took Avengers: Infinity War co-directors Joe and Anthony Russo and stars Holland and Benedict Cumberbatch (Doctor Strange to fans) to surprise moviegoers. As Joe Russo introduced Spider-Man to the shell-shocked crowd, Holland took the microphone from the filmmaker and excitedly said, "I'm alive!" — without realizing he was walking on stage before the screening and not after. Those who have actually watched Infinity War know that Holland's quip was in reference to Spider-Man's apparent death during the film's harrowing, heartbreaking climax. Thankfully, Cumberbatch swooped in before the audience had enough time to fully make sense of what Holland just let slip, and attempted to remedy his co-star's thunderbolt of a reveal. "I'm also alive!" Cumberbatch said. Holland probably would have been able to walk away from the situation safely, and the crowd relatively unaffected, if he didn't take things one step further. Just after Cumberbatch smoothed over the situation, the 21-year-old star asked the audience, "Did you guys just see the film, or are you just about to watch it?" When they responded that the latter applied, Holland looked a bit embarrassed and the filmmakers warned, "Tom, don't spoil anything!" Too late. Check out Holland's blunder in video form, courtesy of an audience member who recorded the whole thing, below. Fingers crossed Holland can keep a tight lip on any Avengers-related details moving forward.